Not only for the super sleek, turquoise glass packaging that now looks perfect on my dressing table but the few reviews I had found online made me really want to try this one out for myself. I went for the bottle designed for normal to combination skin and it claims to lock in moisture for 72 hours to help produce fresh and glowing skin. I initially thought the formula was going to have a very watery consistency but I was surprised on first pump. 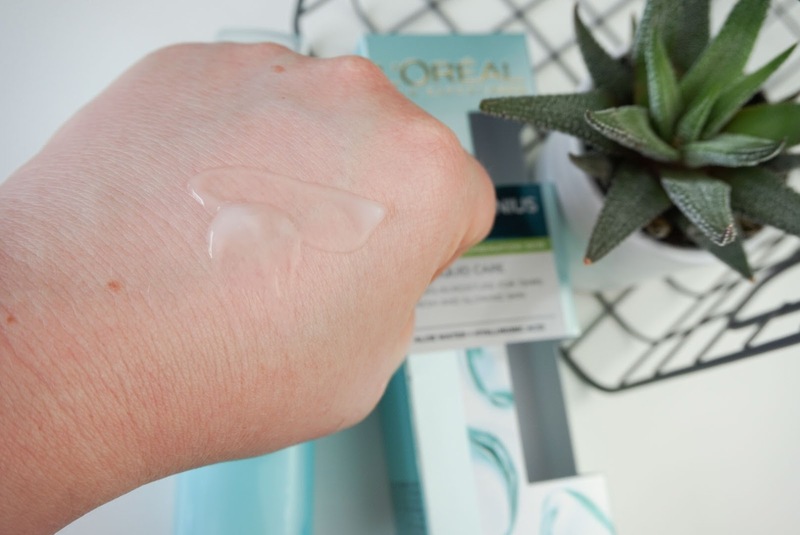 The gel-like water based formula instantly refreshes the skin and revives my face. The product absorbs quickly and leaves no sticky residue behind and gives an intense boost of hydration. 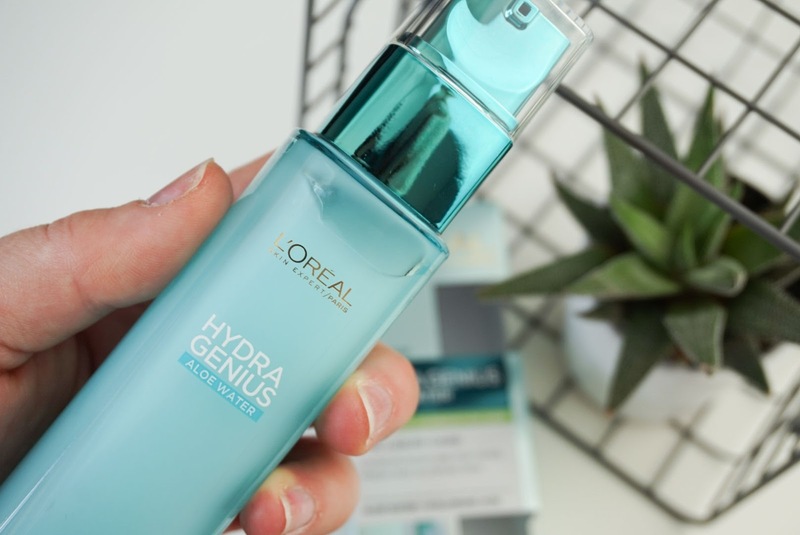 With the lovely weather in the UK this past few weeks, the Hydra Genius has been an absolute god send. Packed full of aloe-vera and hyaluronic acid, this product could also help soothe if you've stayed in the sun a bit too long. Although the liquid care range claims to lock in moisture for 72 hours, I've found myself applying it both morning and night, which for someone who rarely looks at a moisturiser is something in itself. I don't think it performs for 72 hours but I do think it performs well, and is especially refreshing in this heat. The fact that the formula absorbs SO quickly is what has converted me to a regular moisturising routine and I know that my skin is rejoicing right now. The range is now available in-store and online at Boots, currently on offer for £6.66. 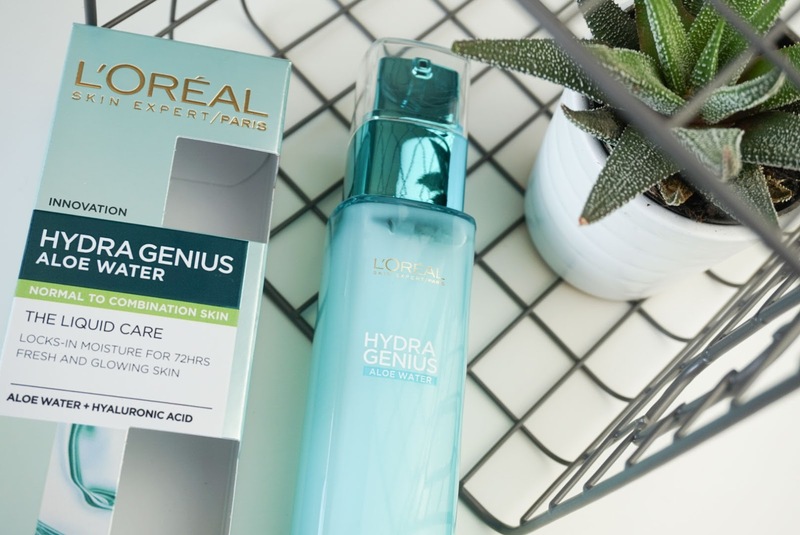 Have you tried the L'Oreal Hydra Genius range yet? I must try this out, my skin has been super dry recently . I've been using the Neutrogena Hydro Gel Moisturiser but I find it leaves a residue on my skin. Ohh I can't be having residue behind, I'm so funny when it comes to the texture of products. This one is so lovely and it's got a great, light scent too. See if you can test it out in store Jennifer, I'll be surprised if you don't agree. Go buy it now, Lynsey. You won't regret it one little bit. It's lovey, so refreshing!! I really want to try this. Heard so many good things about it. Plus how gorgeous is that packaging?